Hey all! Just letting you know that we completed September’s wallpapers, which Patrons can now view in full and download here! 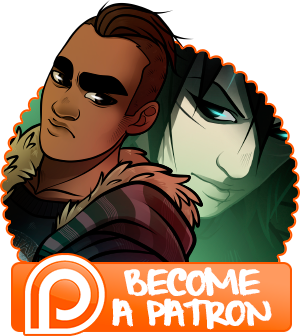 We will eventually add both images to my portfolio for public viewing when the month is up, but until then, if you’re not a Patron and would still like to see them, I’ve added them up as a vote incentive over at Top Web Comics! Even if you are a patron, we would love for you to vote–voting will hopefully get us into the top one hundred, which will hopefully help our comic reach a larger audience. If you’ve ever wondered how you could help us out without spending a dime, this is a really great way to do it!